T-shirts can be ordered through online preregistration through Monday, October 16, 2017. After this date, shirts, hoodies and pucks can be purchased onsite while supplies are available. Cancellation Policy: All cancellation requests must be made in writing to: registrations@ecc.uwex.edu . $25 cancellation fee for cancellation requests received prior to October 20th, 2017. No refunds as of October 20th. Substitutions will be allowed. In addition to the usual personal and financial information, the registration process collects information on crash space, sign interpretation, t-shirts, pucks and other accommodations. 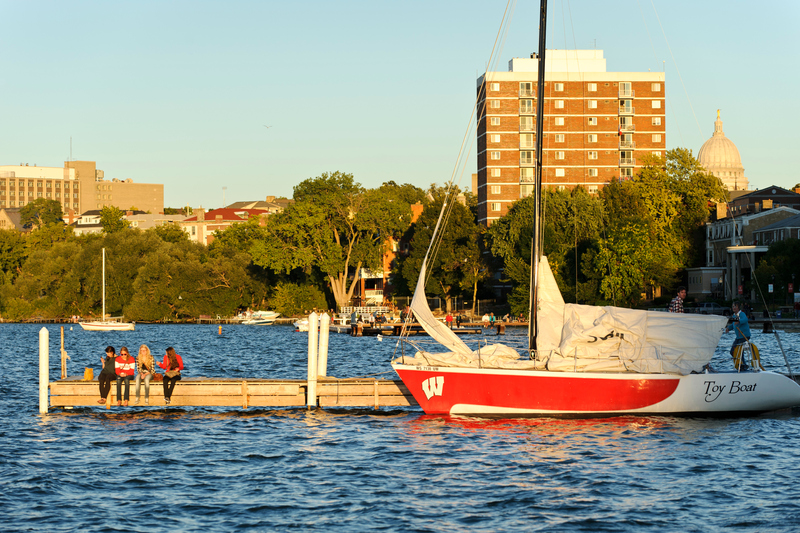 You can let us know if you need something through the registration process or email us at the usual nwav46@english.wisc.edu address. NWAV 46 T-ShirtsT-shirts have long represented a degree of institutional pride by NWAV hosts. We strive to continue in this tradition with the offering of hockey themed t-shirts this year. There will be a number of ways to order your t-shirts, but note that WI State tax will be collected regardless of how you want to pay for the t-shirts. With your registration before or at the conference by credit card. With your registration at the conference by cash/check/charge. At the conference with cash/check. Orders must be placed by Monday, October 16, 5:00 pm Central Time and payment will be with your registration. If you order late, we will try to reserve one for you—but no promises. Note bene, you cannot purchase one of these fine t-shirts at the conference with credit card (but ATMs are near-by, or just purchase one in advance). By the time we drop the puck to start NWAV46, you and all your friends can be sporting the appropriate fashion … NWAV46 t-shirts (long or short sleeve) or hoodie, designed to resemble the University of Wisconsin’s hockey jersey. Check out the pics below! You want the hoodie. You know you do, er no. 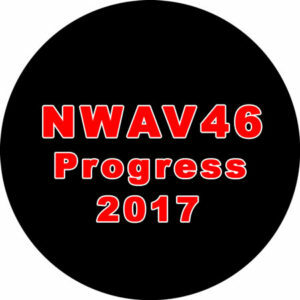 NWAV 46 PucksIn addition to the t-shirts and hoodies, we have commemorative pucks! Yup. Pucks (or black, rubberized paper weights). $5. Order with your registration or pick up on-site.